Are you a family interested in a week of summer camp with most expenses paid? If “yes” listen up! HOG ISLAND FAMILY CAMP – Ages 8-13 and One Adult – August 13-18, 2017. Application deadline is April 30th. 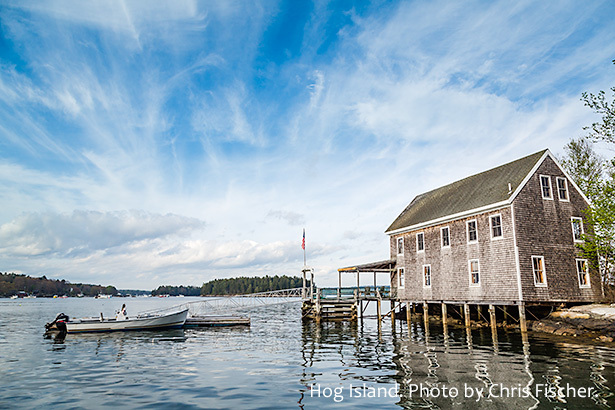 This year, the Northeast Pennsylvania Audubon Society is offering a full scholarship for one adult and a related child between the ages of 8-13 to the family camp on Maine’s scenic Hog Island, a landmark of environmental education since 1936. The session’s program will take place from August 13-18 on the 330-acre island in mid-coast Maine’s beautiful Muscongus Bay and will be led by some of the nation’s most-respected naturalists and environment educators. A family unit includes at least one child and one adult. Grandparents, aunts, and uncles are welcome. Mid-August is an ideal time to enjoy the natural world in mid-coast Maine. Fall migration is starting, the salt marshes are changing colors, bioluminescence sparkles through the salt water, and the northern lights might be dancing across the sky. Experience an educational family vacation you will never forget. The scholarship includes all meals, housing, instruction and boat trips. Transportation to and from the camp is the responsibility of the recipients. *Applicants must reside in territory covered by Northeast Pennsylvania Audubon Society (NEPAS): Lackawanna, Susquehanna, Wayne and most of Pike County, Pennsylvania. *See website for camp applications and additional information.